New Adams Idea Cart with a 9.5" 14-way full length padded dividers. The bag is beige in color and it is in brand new condition. 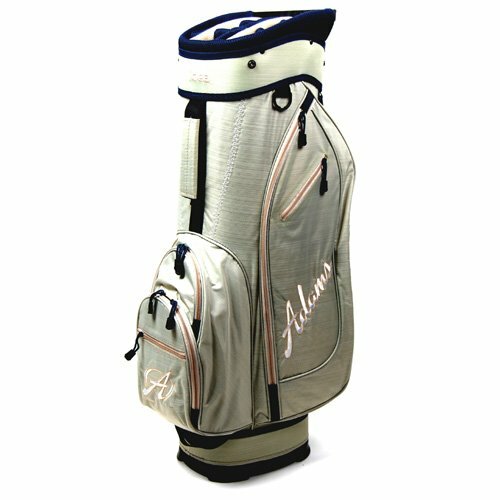 The bag features 7 pockets, an umbrella holder, and a padded single strap. Matching rainhood included.